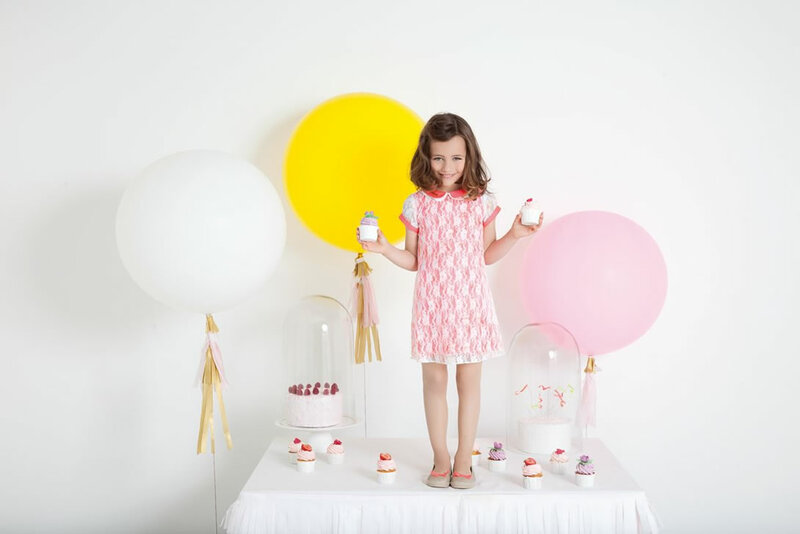 BILLIEBLUSH is a new French brand of clothing mainly for girls aged 0 to 12 years old, firstly created in 2013. The main feature of the BILLIEBLUSH line is converting little girls into real princesses, creating unique items to reflect the feminine of girls. Thanks to the diversity of colors: bright and pale pink, ivory, red, yellow, blue etc. – that are used in making the product, and different patterns: checked, spotted, flowery; using bright elements as tinsel, ruche and lace; it is possible to make a lovely and chic look of a girl. Stylish dresses, skirts, shirts, suits, cardigans, coats and other items of clothing are made from natural materials, such as 100% cotton, satin, velvet and others. The BILLIEBLUSH brand offers not only stylish clothing that responses for the latest trends in fashion, but also comfort for everyday wear. The modern line has also collection of accessories to complete the ideal look. It is represented by fur collars, hair bands, sun hats, hair-slides and others. There brand produces its products twice a year: in spring and summer, dividing each collection to limited editions: formal, party, rainwear beach and others. Nowadays, the BILLIEBLUSH products can be purchased online without leaving home. It was in 2013 when this brand, which is called Billieblush was established. Thus, as we can see it is a pretty novel label, but it has already gained its popularity around the whole world due to its lace and frill detailing, luscious colour palette, funky graphics, and simply amazing clothing. Intriguing, right? Therefore, there is no wonder why it has become so popular these days. 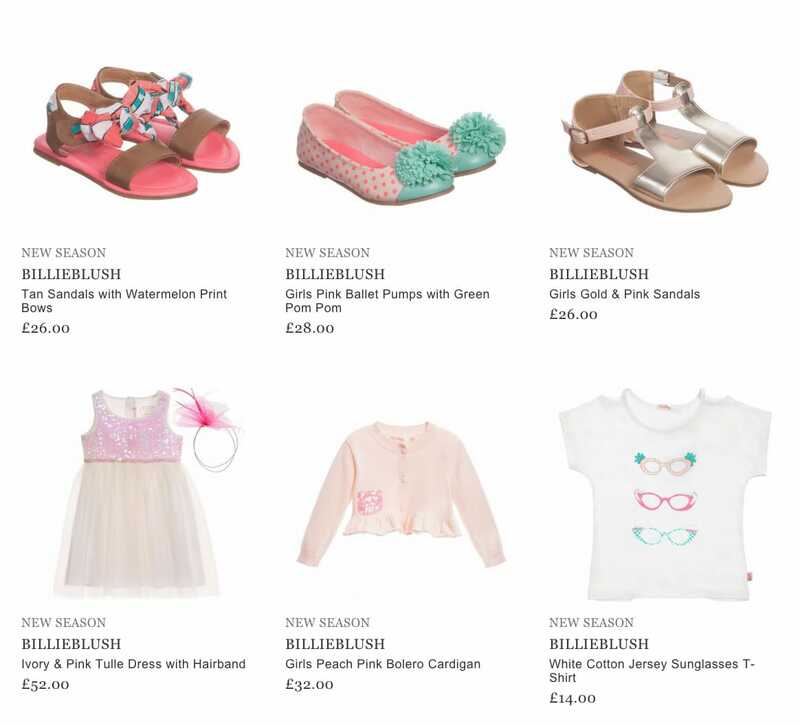 Needless to add, Billieblush has everything you little princess may want to wear. As a matter of fact, it is ideal for sassy and stylish little girls! In general, Billieblush is a wonderful brand that designs and manufactures elegant and chic clothing and accessories for girls aged 12 months to 12 years. Plus, both kids and their parents adore the fact that this amazing French label gives girls that romantic French charm. As to its assortment, you will see a cute choice of elegant dresses, skirts, chic shirts, nice coats, lovely shorts, tops, as well as trendy jackets, elegant fur collars, and fancy trousers and leggings. Apart from the mentioned above, Billieblush also boasts a pretty solid collection of amazing accessories. Indeed, you will see fancy necklaces, cute headbands, a cool range of trendy bags and footwear, including its popular Raindrop Print Wellies.